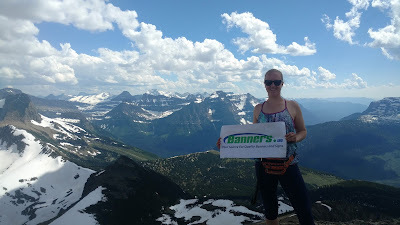 As part of our Wellness Committee at Banners.com, we have started a "Backpacking with Banners" program to encourage our employees to get active outdoors. We have a few banners that our employees are able to take with on their adventures. The latest "Backpacking with Banners" adventure was to Glacier National Park in Montana. 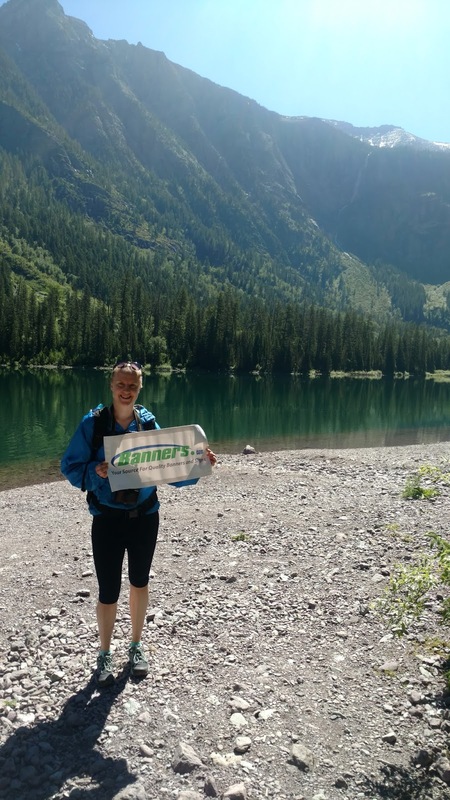 Here are a few pictures from Jana's hiking excursion. The first day of hiking was to Avalanche Lake. The trail was about 5 - 6 miles round trip. The second day of hiking was an attempt to get to Grinnell Glacier. Unfortunately, the trail was still covered with snow, but the view was still pretty amazing! The entire day of hiking / walking around was about 20 miles. The third and final day of hiking was to the top of the Swiftcurrent Mountain. The trial was 8.5 miles up, and 8.5 miles down. The last mile being vertical! 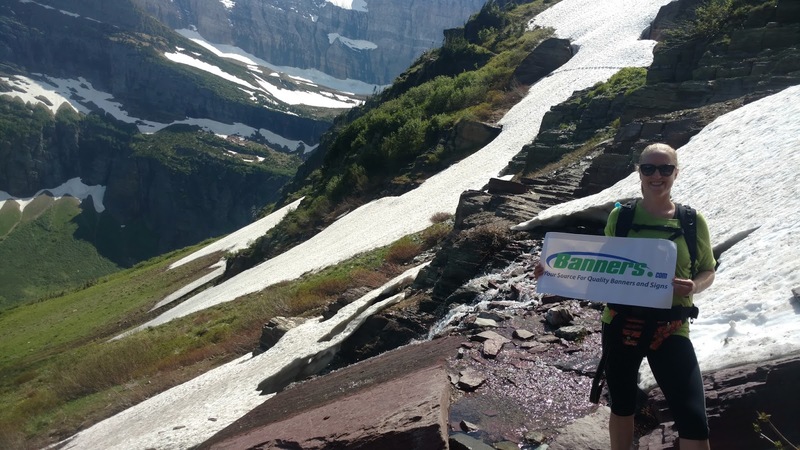 Stay tuned for more Backpacking with Banners adventures!